Gentle Giant presents the Star-Lord Mini Bust — just in time for the Guardians of the Galaxy film from Marvel Studios. This version of Star Lord's costume first appeared in the Annihilation event with Annihilation: Conquest - Starlord #1. 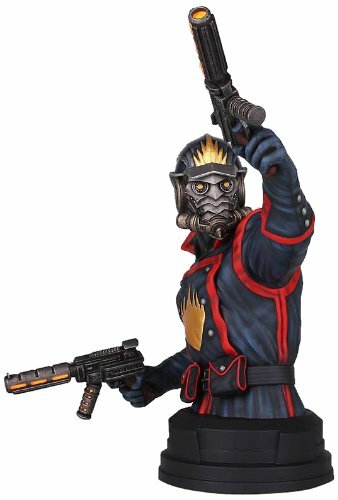 This bust features Star-Lord brandishing his twin blasters and ready for combat. This is a limited edition bust and is rendered using the highest quality polystone and hand painted. Each bust is individually numbered and comes with a certificate of authenticity.